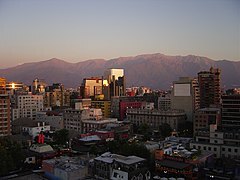 Santiago, in the airport area of Pudahuel, has a cool semi-arid climate (BSk according to the Köppen climate classification), with Mediterranean (Csb) patterns: warm dry summers (November to March) with temperatures reaching up to 35 °C (95 °F) on the hottest days; winters (June to August) are cool and humid, with cool to cold mornings; typical daily maximum temperatures of 14 °C (57 °F), and low temperatures near 0 °C (32 °F). In climate station of Quinta Normal (near downtown) the precipitation average is 341.8 mm, and in climate station of Tobalaba (in higher grounds near Andes Mountains) the precipitation average is 367.8 mm. In both the climate observed is "warm temperate with long dry season", that is a Mediterranean (Csb) climate. 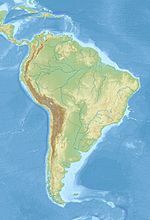 In the airport area of Pudahuel, mean rainfall is 276.9 mm (10.90 in) per year, about 80% of which occurs during the winter months (May to September), varying between 50 and 80 mm (1.97 and 3.15 in) of rainfall during these months. That amount contrasts with a very dry season during the summer months between December and March, when rainfall does not exceed 4 mm (0.16 in) on average, caused by an anticyclonic dominance continued for about seven or eight months. 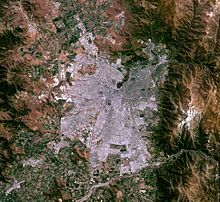 There is significant variation within the city, with rainfall at the lower-elevation Pudahuel site near the airport being about 20 percent lower than at the older Quinta Normal site near the city centre. ^ Vicencio, José (January 28, 2019). "40 grados y contando: La histórica ola de calor que batió récord en la zona central". 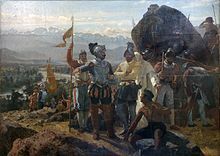 Meteochile Blog. Dirección Meteorológica de Chile. Retrieved February 1, 2019. ^ "How Does Air Movement Affect Weather?". Sciencing. Retrieved 2019-01-29. 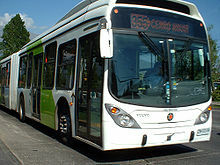 ^ "Santiago Public Transportation Statistics". Global Public Transit Index by Moovit. Retrieved June 19, 2017. Material was copied from this source, which is available under a Creative Commons Attribution 4.0 International License. This page was last edited on 18 April 2019, at 00:08 (UTC).